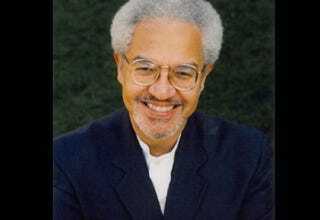 In his moving tribute to Manning Marable, black-studies scholar Michael Eric Dyson, a professor of sociology at Georgetown University, writes, "Marable nurtured and guided a veritable tribe of graduate students and junior professors as they sought sure footing in the academy." Here are the recollections of some members of that "veritable tribe," many of whom studied with him at Columbia University's Institute for Research in African American Studies. Robyn C. Spencer, an assistant professor of history at Lehman College in New York City, was Marable's first graduate student. The first time I saw Manning Marable was at his job talk at Columbia University in 1993. He delivered his audition lecture about the legacy of black radicalism embodied by Malcolm X with an unapologetic reverence that mainstream historians usually reserved for heads of state. In one fell swoop, he moved me and my coterie of graduate students —studying everything from poor black women mobilizing for welfare rights to Puerto Ricans in the Young Lords Party to black radical organizers in the Black Panther Party — from the margin of American history to its center. After he was hired, I couldn't wait to meet him and ask him to be my adviser. At our first meeting, he shared his vision for creating a space for research that validated the totality of the black past, including the radicals, progressives and feminists. He wanted to go beyond the ivory tower and interject into national debates about black life, shape public policy and, most of all, connect to grassroots political activism, especially in surrounding Harlem. As I moved through the program, going from teaching assistant to doctoral candidate to assistant professor under Marable's guidance, I watched him nurture the IRAAS from the humble construction site where we held our first conversation to a leading scholarly institute — all while employing unfunded graduate students in meaningful work and providing an institutional space for conversations about black life inside and outside the academy. I'd like to think that they were both labors of love. Monique W. Morris is the CEO of MWM Consulting Group and the former vice president for advocacy and research at the NAACP. She is the author of Too Beautiful for Words and more than 35 research publications on social-justice issues. Scholarship and advocacy are inextricably linked. That's what I learned most from my mentor and friend, Dr. Manning Marable. As the first staff person hired to work with him at IRAAS, I read everything he wrote and was responsible for maintaining a clipping file for his syndicated newspaper column, "Along the Color Line." That experience taught me that scholarship was an important weapon in the battle for human rights, which is a lesson that I have carried with me in my work for social justice. Marable's mentorship was everything from quiet to challenging, but his critique was always rigorous. As a historian, he offered guidance through a spirit of sankofa. History's lessons were necessary to explore and confront if we were to move forward with a progressive black agenda. As a democratic socialist, he challenged structural racism and the oppression of black people. Always, he was forward thinking and offered his students an opportunity to develop our own insights. A few months ago, he wrote to me that we needed a "new vision for black freedom." As we straddle life "along the color line," the time is now to advance that movement. Nishani Frazier is an assistant professor in the department of history at Miami University of Ohio. She is co-editor, with Manning Marable, of Freedom on My Mind: The Columbia Reader of African-American History. I was leaving the safety of Durham, N.C., and the employment and guiding support of Dr. John Hope Franklin, another venerable historian who has passed on to the ancestors. New York was the big city, and Columbia University was the big, bad wolf. Although I entered graduate school with much trepidation, I knew that there was one place where I was welcome: It was the Institute for Research in African American Studies, a center built brick by brick by Manning Marable. It was not just the site of black studies; it was the place where many students found psychic, emotional and professional solace and security. In IRAAS, Marable created a safe haven. Marable's greatest contribution to his students and many other students of black studies was to craft through IRAAS a powerful symbol of institutionalized mentorship. He provided for me and future students like me a shelter from the storm. This gift is among the ultimate tributes to his life, and his students reflect this legacy. Zaheer Ali is a doctoral student in history at Columbia University, researching 20th-century African-American history and religion. He was a project manager of the Malcolm X Project. In 2004, while working on Dr. Manning Marable's Malcolm X Project, I accompanied him to Chicago for a meeting with Minister Louis Farrakhan and his longtime aide Abdul Akbar Muhammad to discuss Marable's research on Malcolm X. It was the first time the two had ever met in person, and what was supposed to be a two-hour meeting turned into a six-hour conversation that extended into another two hours for dinner. Their political differences aside, Farrakhan expressed nothing but deep respect and appreciation for Marable's scholarship, and both men shared an interest in documenting and preserving black history. This meeting and its follow-up would have been unlikely for me to accomplish on my own as a graduate student. But as was often the case, Marable created the circumstances wherein I could grow as a researcher and scholar: He asked me to assist in conducting the oral-history interviews of both Minister Farrakhan and Mr. Muhammad. Afterward, he granted me access to the Malcolm X Project files for my dissertation research. Marable's generosity with his institutional and intellectual resources enriched me in ways that I have only begun to discover. His humility and faith in his students enabled him to treat us like junior colleagues, offering the chance to co-edit anthologies, submit articles to his many publications and lead major research initiatives. He was fond of saying of the Malcolm X Project, "It's not just a job; it's a way of life." For him the history of black freedom was not just something he wrote about; it is something he lived as a radical democrat committed to equality. And he taught us to live it, too. Zinga A. Fraser is a Ph.D. candidate in African-American studies at Northwestern University. Although I was a train ride away from home, the IRAAS would become my second home. Professor Marable's vision of creating an intellectual and physical space at Columbia in the name of black people, but for all people, will remain his legacy. Not until I left the institute did I realize how special it is. Observing his many projects, I saw firsthand what true theory and praxis are. While others examine the plight of incarcerated youth, he formed the Africana Criminal Justice Project. While people examine the facets of Malcolm X's life, he created the Malcolm X Project to engage students and the public on Malcolm's legacy. Marable provided a model for my scholarship. When my project on black women in politics was questioned by some, his advice landed me at the university I now attend. At a recent talk, he said, as he did on many occasions, that it is his job to make his scholarship at Columbia relevant for those on 125th Street. My time in the academy might suggest that I should be jaded by this concept, but I know that it is nothing abstract because I saw Marable do it daily. Although we are hurt by his loss, I am thankful to have been a part of his "living history." Megan French is a Ph.D. candidate in history at Columbia University, researching race and urban policy in New Orleans. She was project manager of the Amistad Digital Resource. In spring 2007, Dr. Marable asked if I would like to work on a project he was calling the Amistad Resource; it was to be an open digital resource for public school teachers on black history. He was my adviser, the person who encouraged me to do a Ph.D., but not even he knew the importance of this project for me. I had been struggling with the way to connect the highly specific scholarship of academe with anything that would have an impact on the outside world. I was seeking ways in which scholar-activism really worked. Here, Marable opened the possible. He wanted the site to be accessible, but also to create conversations in classrooms that had not happened when I was in high school, about racism, history and perspective. I watched someone take a risk in an academic environment where anything for public, nonprofit interests seems irrelevant and commit to the idea that this history was important for everyone. Later that year, as we continued work on the site, Marable gave the address commemorating the 40th anniversary of the Rev. Martin Luther King Jr.'s anti-Vietnam War speech. Amid community leaders at Riverside Church — again one of the few academics in the room — Marable gave one of the most moving, provocative talks on civil rights I had ever heard. A woman next to me said, he really is all for the people. I said back to her, I know. Elizabeth Kai Hinton is a Ph.D. candidate and the co-editor of Manning Marable's The New Black History: Revisiting the Second Reconstruction, which will be published by Palgrave MacMillan in November 2011. We will remember Manning Marable's contributions to African-American studies as his foremost legacy, but he should also be recognized for the spaces he built for scholars of black history within academia. Professor Marable created the IRAAS at Columbia nearly 20 years ago to provide a safe haven for students to critically examine the nature of institutional racism, the contours of the African Diaspora and approaches to radical social change. Like many of my peers also pursuing doctoral degrees at Columbia who had the privilege to study under Marable, the institute proved key to our survival on campus. In addition to his dedication to the work of a generation of young scholars, Marable's Souls: A Critical Journal of Black Politics, Culture and Society — molded after W.E.B. Du Bois' Phylon — also provides one of the few forums for black radical perspectives. Among Marable's many legacies, both IRAAS and Souls stand as a testament to his support of young, progressive scholars, as well as his enthusiastic pursuit of history and political thought. While Marable himself is irreplaceable, he has provided a foundation for future generations and will continue to shape our understanding of social change and justice. Zaheer Ali can be reached at mail@zaheerali.com. Follow him on Twitter.